The Michaels Companies Inc. (MIK) reported an 11% drop in earnings for the fourth quarter due to the restructuring charges primarily related to the closure of 36 Pat Catan’s stores and the previous year’s extra week. However, the results exceeded analysts’ expectations. The arts and crafts specialty retailer guided earnings for the first quarter and fiscal 2019 in line with consensus estimates. Net income fell 10.6% to $181.4 million, while earnings per share rose 3.6% to $1.15 per share. Excluding restructuring charges primarily related to the closure of 36 Pat Catan’s stores in the fourth quarter of fiscal 2018 and tax adjustments related to the Tax Cuts and Jobs Act in the fourth quarter of fiscal 2017, adjusted earnings grew 21% to $1.44 per share. Net sales decreased 5.4% to $1.8 billion. This decline was primarily due to the extra week in the fourth quarter of fiscal 2017, the closure of all 94 full-size Aaron Brothers stores in the first quarter of fiscal 2018, and a 0.4% decrease in comparable store sales. This was partially offset by sales from the operation of 20 additional Michaels stores during the quarter. During the quarter, the company opened three new Michaels stores, closed one Michaels store, relocated one Michaels store, and closed 36 Pat Catan’s stores. Total merchandise inventory at the end of fiscal 2018 decreased by 1.3% to $1.11 billion. 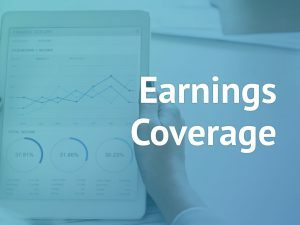 Average Michaels inventory on a per store basis, inclusive of distribution centers, inventory in-transit, and inventory for the company’s e-commerce site, increased 2.7% year-over-year to $832,000. During fiscal 2018, Michaels purchased 24.6 million shares, or $451.9 million, under its share repurchase authorization. The total remaining authorization for future repurchases is about $398 million. 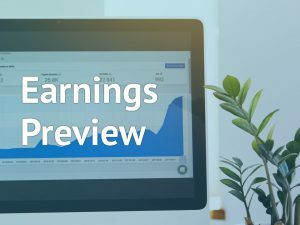 Looking ahead into the first quarter of fiscal 2019, the company expects adjusted earnings in the range of $0.28 to $0.33 per share, based on diluted weighted average shares of 158 million. Comparable store sales are anticipated to decline in the low-single-digit range. Michaels intends to open four new Michaels stores and relocate five Michaels stores. 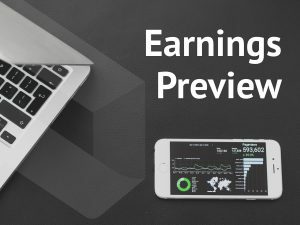 For the first quarter, adjusted operating income is predicted to be in the range of $96 million to $106 million and interest expense is projected to be about $38 million. The effective tax rate is likely to be in the range of 23% to 24%. 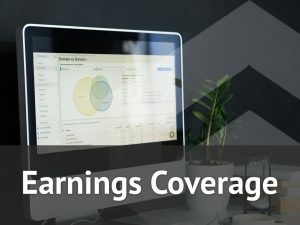 For fiscal 2019, the company expects adjusted earnings in the range of $2.34 to $2.46 per share and net sales in the range of $5.19 billion to $5.24 billion. Comparable store sales are anticipated to increase between 0% and 1%. The company plans to open 24 new Michaels stores, inclusive of up to 12 Pat Catan’s stores the company plans to rebrand and reopen and relocate 13 Michaels stores. Adjusted operating income for the full year 2019 is expected to be in the range of $640 million to $665 million and interest expense is predicted to be about $155 million. Capital expenditures are anticipated to be about $135 million. The effective tax rate is projected to be between 23% and 24%. Shares of Michaels closed Monday’s regular session up 1.11% at $11.79 on the Nasdaq. The stock has fallen over 46% in the past year and over 16% in the past three months.